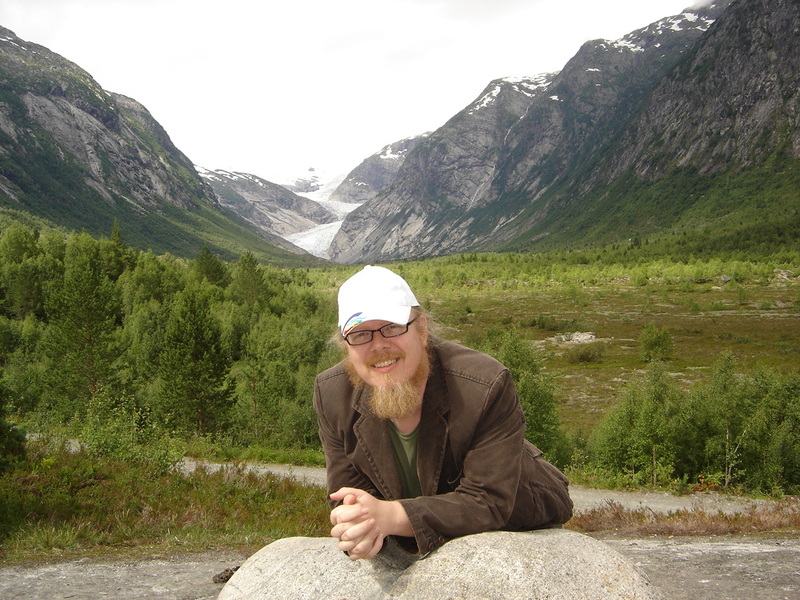 According to Ronald Primeau, in his study of the literature of the American highway, Romance of the Road, the “American road genre”—popularly expressed in novels, short stories, poems, songs, movies and video—emerged out of a literary form known as the Bildungsroman, or the novel of education (psychoanalytically considered, a story of “individuation”). The lure of the highway has always been its freedom, the opportunity for the individual “to explore or redefine” himself. Part of the appeal of the road, Primeau argues, is “the road’s carnivalesque disruption of the ordinary,” the opportunity for an individual to seek something “beyond the mundane” (15). Most certainly popular musicians have exploited these promises of the open road, but in America, at least, the technological means of obtaining the highly prized escape from the quotidian or banal was the automobile. It should come as no surprise, therefore, that at the beginning of the twentieth century, the automobile craze enabled the creation of an entirely new genre of popular song, one extolling the virtues of life on “the open road" but also fetishizing the machine that enabled one to access it. 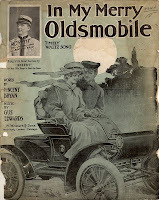 Perhaps the most popular of the early twentieth century songs about the automobile was Billy Murray’s In My Merry Oldsmobile, recorded in 1905. Billy Murray (1877-1954), nicknamed “The Denver Nightingale,” was perhaps the most popular (white) entertainer in America from roughly 1905 to 1920 (supplanted in the 20s by Al Jolson). Considered the foremost interpreter of his era of the songs of George M. Cohan, Murray had huge hits with “The Yankee Doodle Boy,” “The Grand Old Rag,” and “Harrigan” (“H-A-double R-I-G-A-N spells Harrigan, that’s me”). According to Frank W. Hoffmann, in his liner notes to the Billy Murray Anthology: The Denver Nightingale, Recordings 1903-1940, Murray’s 1905 releases of “In My Merry Oldsmobile” and “Everybody Works but Father” “remained in record catalogues for 15 years,” suggesting “they were phenomenal sellers.” Indeed, Billy Murray’s 1910 recording, made with the American Quartet, of “Casey Jones”—not the Grateful Dead’s version, obviously, but prompted by the same famous 1900 railroad crash—may well have been the biggest hit of his career; it is estimated it sold well over two million copies. So, in a sense, we have Billy Murray to thank for the vast popularity of the “car song,” of which there are no doubt hundreds, perhaps thousands, of instances in American popular music. Although the automobile is widely associated with “cruising” in the 1950s and 60s, even in Billy Murray’s day the automobile was associated with the courtship ritual—so apparently we have him to thank for that motif as well. Although there are numerous rock and pop songs in which cars are mentioned (e.g., explicitly, such as “Baby You Can Drive My Car,” "Little Deuce Coupe," or through synecdochal reduction, as in “Radar Love”), few name the actual make or model of the car in the actual title, so I thought I’d list a few representative songs in which such information is presented, allowing us to discern the associations the culture has built up with various makes of cars (e.g., "Little Red Corvette"). I'm well aware there are many, many other examples of songs in which the name of a particular make of automobile is mentioned in the lyrics (e.g., Johnny Cash’s “One Piece at a Time,” Don Maclean’s “American Pie”). But in the list below, however, as a sort of homage to Billy Murray who popularized the genre, I’ve confined myself to a baker’s dozen of songs in which the specific make or model of the automobile is fetishized in the title. Why not? By fun serendipity I'll be delivering a paper tomorrow morning at a conference in Helsinki on Cadillacs as cultural texts! The Cadillac car has long featured in the American imagination as a signifier of cool masculinity, mastery of the road, financial surplus and a predilection for luxury and comfort. The Cadillacs in many of these texts become objects of fantasy, the possession of which will turn their owner into a superman with unlimited access to women, money and power. There are literally thousands of representations of Cadillacs in American popular and high culture: songs, films, novels, photographs, art, sculpture, etc. The Caddy Daddy web site for instance lists more than 1.000 song titles with the word Cadillac in them. Band names, film titles, works of art with Cadillac references in them boost that number even higher. For that reason alone a selection is necessary if one wants to trace the history of the representation of the Cadillac in US culture.